What is the Developing a Sound Organizational Climate? Explain the Developing a Sound Organizational Climate! Another option for Developing a Sound Organizational Climate! The developing a sound organizational climate is a long-term proposition. Organisational climate depends upon the organizational behavior system. The organizational climate should represent the goals and philosophies of those who join together to create the organization. The type of climate that an organization seeks is contingent upon the type of people it has, the type of technology, level of education and expect actions of people in it. Also learn, Explain are Evolution, Elements of an Organizational Climate! There should a two-way communication in the organization so that the employees know what is going on and react to it. The manager can modify his decision on the basis of feedback received. The management should interest in the human resource development. It should work for the welfare of employees and an improvement in their working conditions. For developing a sound organizational climate, the management should have show concern for the people. The management should involve the employees in the decision-making process, particularly those decisions which are related to goal setting and affect them. Participative decision making will make the employees committed to the organization and more co­operative also. The organizational climate can also be changed by making changes in the policies, procedures, and rules. It is a time-consuming process but the changes will also be long-lasting if the workers see the changes in policies, procedures, and rules as favorable to them. What are the Principles of Directing? Generally, the workers and employees resist any innovative changes. But where technological changes improve the working conditions of the employees, the change will be easily accepted. Better climate will be there if the management adopts innovative changes in consultation with the employees. But all the above factors are contingent upon the assumptions of the nature of people in general. For example, the ECONOMIC MAN is basically motivated by money and economic security and hence, economic factors may be used to attract and motivate him. For a SOCIAL MAN, positive social relations and interactions are a must. Thus, the creation of a climate where happy family atmosphere prevails is appropriate for him. The self-actuating man seeks achievement, accomplishment, and meaning in what he does. The organizational climate with a certain degree of freedom is appropriate for him. Thus, in order to build up a sound organizational climate, management must understand the people in the organization. The importance must be given to what motivates people’s performance in general and building an overall climate conducive to motivation, a keen insight into the individual in particular and tailoring a personal approach to leadership and job design to which the man will respond with commitment. The different types of people suggest that there cannot be any all-purpose organizational climate. A sound organizational climate is a long-term proposition. The climate of each organization is set through an organizational behavior system. However, what should be an organizational behavior model for a given organization is not a universal phenomenon. Organization behavior philosophy derives from both fact and value premises. Fact premises represent how human beings behave, while value premises represent the view of the desirability of certain goals. Thus, organizational climate should represent the philosophy and goals of those who join together to create the organization. Thus organizational climate exists in a contingency relationship with the organization, meaning that the type of climate that an organization seeks is contingent upon the type of people it has, the type of technology, level of education and expectations of people in it. The organizational climate is contingent on the assumptions of the nature of people in general. In dealing with people, the total man concept should be taken which is essentially a combination of three different concepts about the nature of human – beings – economic, social and self – fulfilling. Such a classification is different from an earlier classification of man in the context of decision – making process. The basis of classification of man into three categories derives from the fact that each class of men has the different set of thinking, motivation and hence requires different organizational climate. The economic man is basically motivated by money and long-range economic security and hence the reliance on economic factors to attract, keep and motivate them. 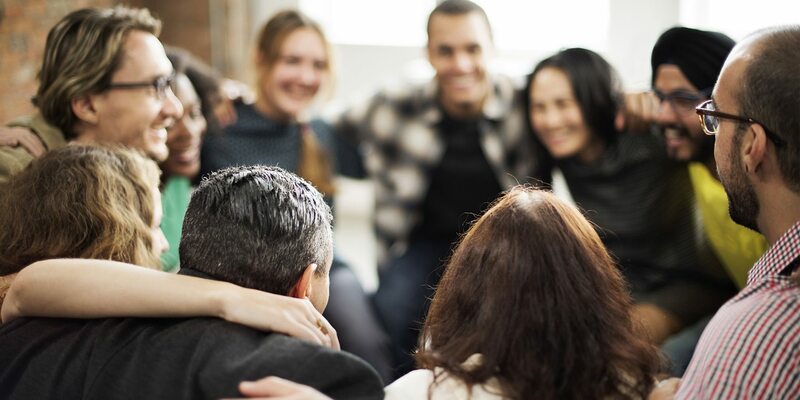 For a social man, positive social relations and interactions are a must, within his work environment, man seeks an affinity with fellow employees. An absence of political maneuvering for organizational positions and other personal gains. Linking rewards with performance rather than linking with other considerations such as bold relationship, friendship, and social background. High standard of excellence in every area of operation and evaluation. Encouragement for participation and group decision and its implementation. Encouragement for innovation and freedom to act upon ideas. A high value assigned to interpersonal amity and tolerance of individual differences. High standards of moral integrity in dealing with both internal and external matters. These prescriptions can achieve on a long-term basis and more by practice and by presentation alone. Explain are Evolution, Elements of an Organizational Climate! What are Impact of Organizational Climate on Job Satisfaction, Dimensions? What are the Strategies for Management Conflict in Organizations? What is the Sources of Conflict in Organizations?